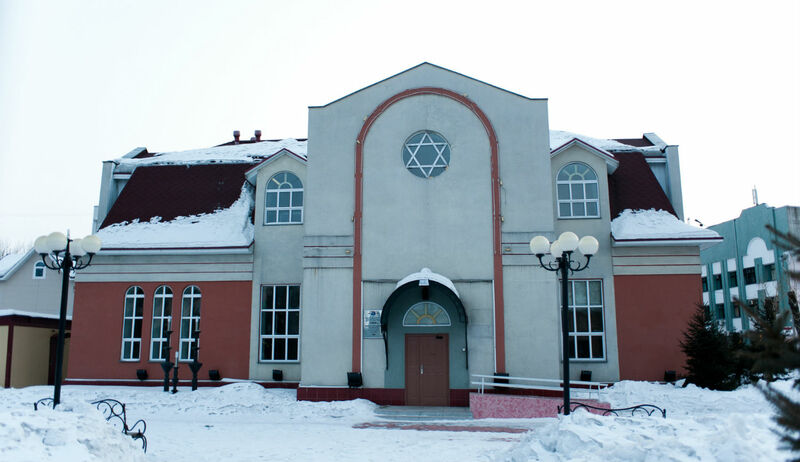 A synagogue in Birobidjan City, Russia. ANNA YEROSHENKO/AFP/Getty Images. Maxim D. Shrayer, born in Moscow in 1967, is a professor at Boston College and the author, most recently, of Leaving Russia: A Jewish Story, a National Jewish Book Award finalist. He is also the editor of Dinner with Stalin and Other Stories by his father, David Shrayer-Petrov, a Wallant Award finalist. My old friend Oleg Dorman and I seem always to be having the same conversation about Russian Jews: staying or leaving? He stayed; I, a child of refuseniks—Soviet Jews denied permission to emigrate—spent the first twenty years of my life in Moscow before leaving in 1987. Every time, during one or another of my periodic visits to the city, talking with Dorman is like a session of acupuncture, except that instead of relief it produces fresh pain. Our latest round took place in late October and early November of last year. It began after a lecture I’d just given at the Moscow Jewish Museum and Tolerance Center, and continued the next day. I’ve known Dorman, a second-generation filmmaker, for many years. Most of his films treat Jewish-Russian subjects, notably Desire to Know (1995), which tells the story of Yeshiva Torat Chaim, founded in 1989 by Rabbi Moshe Soloveitchik of Zurich on the site of a former Communist-party “vacation home.” More recently, Dorman, who is also Woody Allen’s Russian translator, has been translating the work of Paul Gallico, the American novelist and sportswriter. An age mate of mine, Dorman dresses in wool slacks and cardigans and looks like a slightly Jewish version of one of Chekhov’s intellectuals, aggrieved by the public’s lack of aesthetic refinement. As we talked, we were sipping buckthorn tea and noshing on tiny apricot cookies. My fifth-grade daughter Mira, who had accompanied me to Russia, was absorbed in my smartphone. A gallery at the Jewish Museum and Tolerance Center in Moscow. 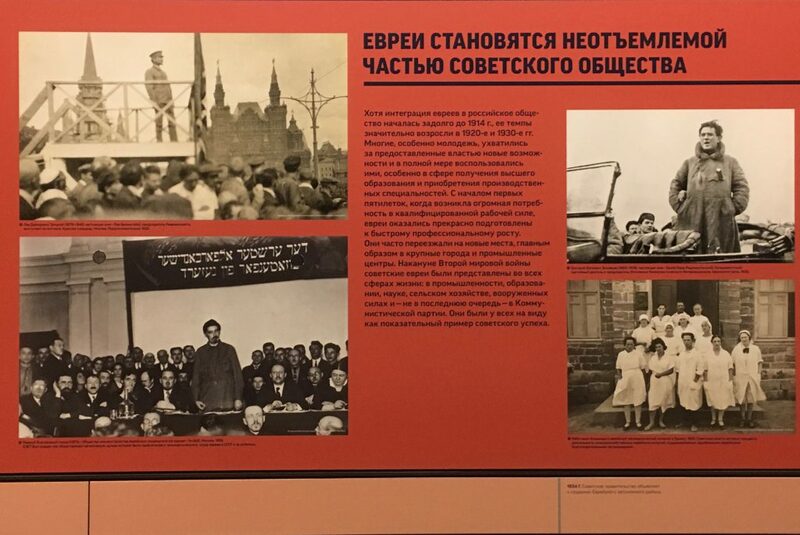 If you should ever find yourself in Moscow and want to understand how things go with Russia’s Jews, visit the Jewish Museum and Tolerance Center in the neighborhood of Maryina Roshcha (Mary’s Grove), located a few miles north of Moscow’s historic center. The museum, which opened just five years ago, occupies a section of what in the post-Soviet decades has emerged as the spinal cord of Jewish communal, religious, and cultural life in Russia’s capital: a whole campus with a synagogue, a community center, educational institutions, a publishing house, a bookstore, and medical offices. It takes many hours to tour the museum’s permanent exhibits. As a foreign tourist with only a couple of hours to spare, you might wish to bypass the earliest galleries and glide instead through the halls reconstructing life in the shtetl, then whisper a prayer in the re-created sanctuary of a wooden synagogue from Ukraine, and stand for a few minutes in the gallery dedicated to the Russian Revolution and civil war. Just make sure you give yourself enough time for Gallery 8, “Soviet Union: 1922-1941.” Here is unique stuff, not to be found in any Jewish museum outside of Russia, dedicated to the two all-important decades of early Soviet history and the myriad contributions that Jews made to Soviet civilization. Then, after briefly setting foot in the semicircular Gallery 9, “Holocaust and the Great Patriotic War,” and lingering a bit in Gallery 12, “Perestroika to the Present,” you can head for refreshment at the museum’s lovely kosher café called Aleph. The talk I gave at the museum, preceding my conversation with Dorman, was titled “Letters to a Jewish Muse” and took place in the building’s jazzy education center. In the talk I explored the marriage of Vladimir Nabokov and Véra Slonim, a Jewish woman who never converted to Christianity. Questions from the audience focused on mixed marriages and anti-Semitism. A Jewish man in his fifties, dressed in a lustrous double-breasted suit, got up from the front row, face blotchy with nervousness. Almost choking, he said that not only did every Russian have an anti-Semite buried deep inside his or her heart, but every Jew, too, harbored his or her own secret self-hater. The gentleman turned out to be the Moscow representative of a major American corporation. As he delivered his tirade, I thought I’d stumbled into a Russian version of an Arthur Miller play about an over-the-top family feud. To me, the very existence of an institution like Moscow’s Jewish Museum and Tolerance Center seems more unreal than the existence of “fantastic beasts” seems to my American-born children. To me, the very existence of an institution like Moscow’s Jewish Museum and Tolerance Center seems more unreal than the existence of “fantastic beasts” (as in the movie of that name about a secret New York society of witches and wizards) seems to my American-born children. 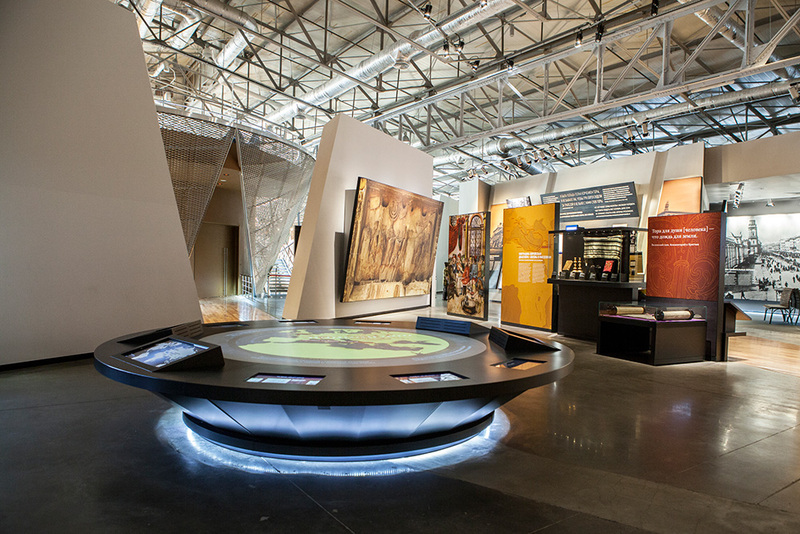 Like other such museums, including Warsaw’s Polin, Berlin’s Jüdisches Museum, and Philadelphia’s American Jewish History Museum, the Moscow museum negotiates between telling a story of Jews and telling a Jewish story—the two stories being the contrasting and competing accounts of Jewish vs. Russian/Soviet triumphs and tribulations. Is this the best Jewish museum one could expect in an authoritarian, postcolonial nation with trappings of cultural and religious pluralism and a looming threat of political retrenchment? I think the answer is yes, but a recent polemic in the pages of the journal East European Jewish Affairs threw into relief some diverging views of the museum’s mission in today’s Russia. The occasion was a skeptical review of the museum by Olga Gershenson, a professor at the University of Massachusetts who was born in the former USSR. Soviet Jews in the late 1930s and early 1940s were not the “Jews of silence” [the title of Elie Wiesel’s 1965 book on the condition of Soviet Jews]. They constituted the most successful Soviet nation; Jews were on the whole the most Soviet of all Soviet people. They were the most educated and most overrepresented among the highest-prestige professions, in the Soviet and party apparatus. . . . They considered themselves above all to be Soviet people, and only after that as Jews. There is some truth to this statement, as there is to Budnitsky’s forceful words intended to reaffirm it. Yet its employment in a Jewish museum in Russia gives me goosebumps. As defenses go, Budnitsky’s might have been more persuasive if it had also acknowledged the flipside of Jewish survival and advancement in the Soviet Union: the regime’s efforts in those same decades to annihilate Judaism and traditional Jewish life. Not that the efforts completely succeeded. In the 1920s, my four grandparents moved from the former Pale of Settlement to earn workers’ status and attend universities in great Soviet cities. They enjoyed professional success and upward mobility, but they most certainly didn’t believe that Jews were “the most Soviet of all Soviet people.” Nor did they ever shed the native skin of their Jewishness. Every Friday, my paternal grandmother Bella, the daughter of a Litvak rabbi who would be murdered in his own home in the summer of 1941, cooked gefilte fish and noodle kugel in a communal apartment on Leningrad’s working class Vyborg Side. As for my maternal grandfather Aron (Arkady), throughout his life, which ended in Moscow in 1975, he never gave up hope of being allowed to see Israel and reunite with siblings who had emigrated to the Mandate of Palestine in the early 1920s. I doubt I’m the only Soviet Jew born in the 1960s who would demur if his or her grandparents were touted as evidence of Jewish-Soviet success. All in all, the museum’s galleries flood me with mixed emotions. I feel a measure of pride over the Jewish contributions to Soviet culture and society. I also feel deep sorrow. But, above all, I feel a dearth of connection with the aspirations of today’s Russian Jews. My reaction stems in part from an exile’s sense of displacement. I take pleasure in immersing myself in the history of Jews in the Slavic lands and I enjoy bringing my children to this Jewish museum—if “enjoy” is the right word for what feels a bit like visiting the graves of our ancestors in the Preobrazhenskoe Jewish Cemetery on the outskirts of St. Petersburg. 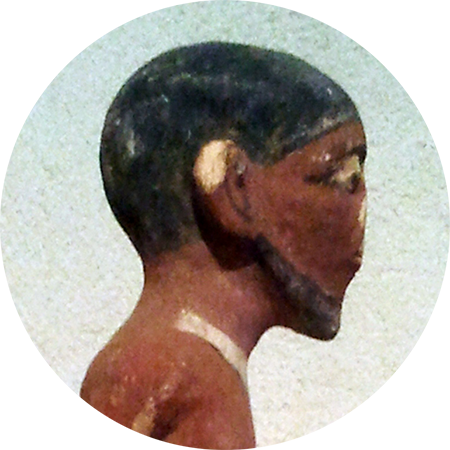 The graves are ours, and, in the museum’s later galleries, the faces of refuseniks are also ours. But the story of Jews in today’s Russia is no longer our story. Who are the real heirs-designate of the Jews of the early Soviet decades? Is the Jewish Museum and Tolerance Center a museum of those who stayed in Russia, or of those, by far the majority, who would leave as soon as they could? In 1989, according to the last official Soviet census, there were 1,480,000 Jews in the USSR, of whom 570,500 were living in the Russian Soviet Federative Republic. Data recently synthesized by Mark Tolts of the Hebrew University put the current number of Jews in the Russian Federation at about 180,000, a bit over one-tenth the size of the 1989 figure. (Of the 180,000, about 61,000 reside in Moscow and about 27,000 in St. Petersburg.) Even if we account for the fact that the 1989 statistic includes hundreds of thousands of Jews in Ukraine and other places not part of today’s Russian Federation, the numbers tell a story of drastic attrition. But wasn’t it a mistake on God’s part to settle Jews in Russia, where they would be tortured like in hell? And would it be so bad if Jews lived in Switzerland, where first-class lakes, mountain air, and Frenchmen surrounded them everywhere? Everybody makes mistakes, even God. If settling Jews in Russia was one of God’s mistakes, God can also correct such mistakes. The trajectory of Jewish-Russian history over the past 30 years suggests a large-scale correction. I go around Moscow, which used to be my home, and I reflect on Babel’s words and on the future of Russia’s dwindling Jewish community. Streetcars are stubborn animals. Relics of a long-gone past, they insist on outliving their time. 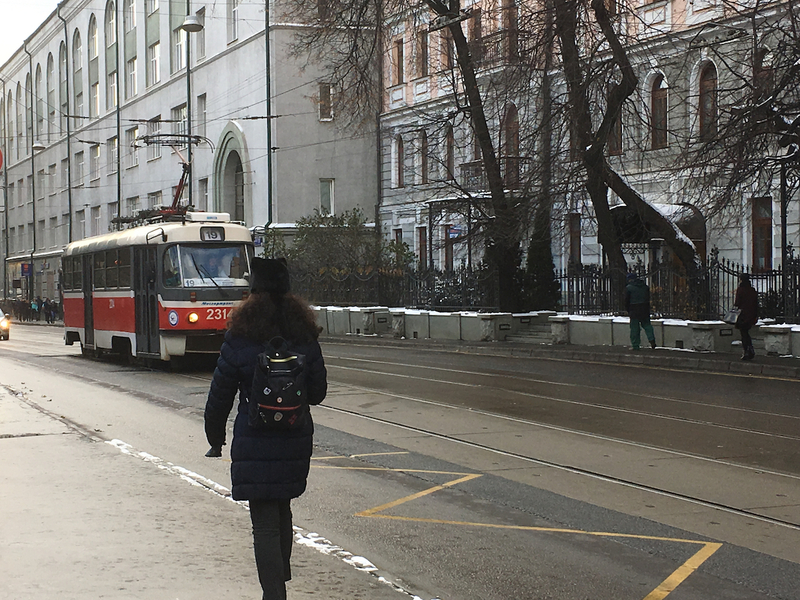 For myself, having overdosed on them in my Soviet youth, I usually avoid both streetcars and buses in my visits to Moscow. For fast connections there’s always the metro, but in general I prefer to walk or else to take cabs, now almost as omnipresent as they are in Manhattan and relatively inexpensive. Yet here I was on a November day, taking Moscow tram No. 19 for a return visit to the Jewish Museum and Tolerance Center. The run, which takes about 30 minutes, links the area of the Three Stations, Moscow’s biggest railway hub, with the Novoslobodskaya metro stop just north of the center. A large portion of the route traverses Moscow’s neighborhood of Mary’s Grove, a historic area of Jewish life in old Moscow and, as I’ve mentioned, a hotbed of Jewish religious and communal life in today’s Russia. Jewish tradesmen and working poor settled here in the last decades of the 19th century, when a residence permit was officially required. In ramshackle cottages and tool sheds, these transplants from the Pale could lie low and escape police surveillance, awaiting a change in Jewish fortunes. Moscow tram No. 19 in the historically Jewish neighborhood of Mary’s Grove. In 1926, defying historical odds, a wooden synagogue was erected in Mary’s Grove just as synagogues across the USSR were being closed down and turned into storage spaces or temples of atheist propaganda. 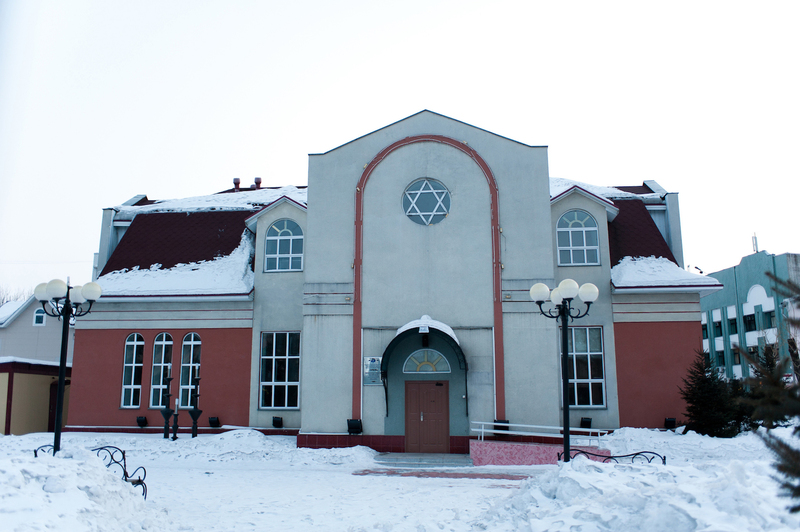 The wooden synagogue burned down in 1993, and the Moscow Jewish Community Center rose in its place, to open in 2000 under the auspices of Chabad-Lubavitch. In 1926 a city bus depot had been built nearby, a Constructivist edifice that would eventually be transformed into the Jewish Museum and Tolerance Center. Recent Russian TV shoot-em-ups about incorruptible Soviet cops fighting vice in the 1940s and early 1950s picture Mary’s Grove as a fiefdom of wooden houses, chicken coops, overgrown gardens, devout Jews, and frisky gangsters. When I was coming of age in Moscow in the 1970s, I identified this area with lingering squalor, relative inaccessibility by metro, and three more things. One was the building of the former Mariinsky Hospital for the Poor, where Fyodor Dostoevsky’s father served as a staff physician and where Dostoevsky himself was born and spent much of his first fifteen years. Another was the Theater of the Soviet Army, one of Moscow’s worst despite its architectural grandeur. 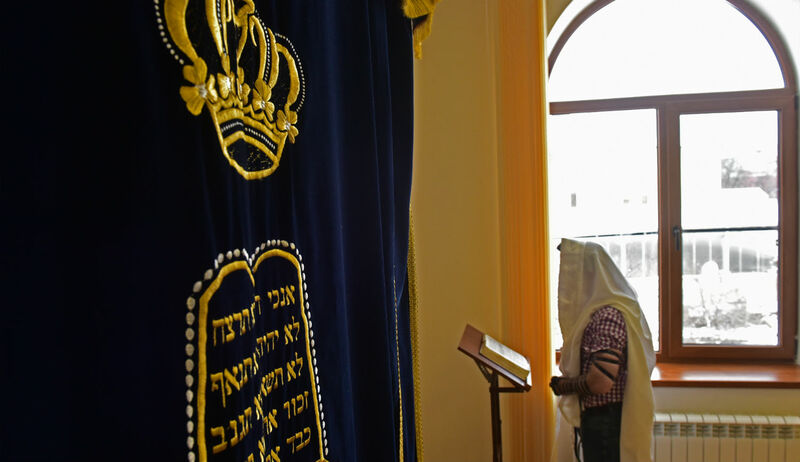 A third was what many refuseniks called the “ḥasidic shul”—this, in contrast to the historic Moscow Choral Synagogue in the city center, the main locus of Orthodox Judaism in Russia. Back in Soviet days, when one paid a price for being unabashedly Jewish, the street outside the Choral Synagogue was also a place for displaying Jewish pride. “You’re the driver,” I said. So my friend Oleg Dorman had been right. As for “MIIT,” the acronym refers to the Institute of Railroad Engineering, founded in 1896 as the Moscow Imperial College of the Department of Railroad Transportation. Since 2015 the school has been officially renamed as the Moscow Emperor Nicholas II State University of Railroad Transportation, but in public memory the old name still endures. In sum, the MIIT tram stop was already loaded with the baggage of Soviet anti-Semitism. After the founding of the Jewish Museum and Tolerance Center in 2012, the name of the stop was expanded and, one might say, overloaded. I got off and photographed the sign, attached to a utility pole. It referred only to the railroad engineering school with no mention of the museum. Surrounded by students, I walked up and down Obraztsova Street, then approached the museum’s entrance, marked by a silvery gray spear-top fence and accessible through a security checkpoint. As I headed back in the direction of the nearest metro station, I came upon a bus stop for city bus No. 0. The standard black and white sign read: “Palace of Culture MIIT—Museum and Center of Tolerance.” Again the adjective “Jewish” was missing: deleted, misplaced, obliviated. If you didn’t already know where you were, the Jewish character of this museum would have been lost on you. Various explanations were running through my head, having to do with residual semiotic prejudice, contemporary Russian politics, and basic security concerns. No matter, the absence of the qualifier made for bewilderment and despondency. That evening I Skyped my parents in Boston and told them about my tram ride to the museum and the missing identifier. As teenagers in Moscow and Leningrad, my parents had endured the darkest years of Soviet Jewry, when Stalin’s wild genocidal paranoia flared until his death in 1953. Both of my parents had lived in Russia for much longer than I would; both are word-workers, sensitive to tone and misuse of language. I wanted to check with them first. “That was different. I did it to challenge public perception, to protest anti-Semitism. And I couldn’t publish those poems there,” my father replied. The next morning I brought up the topic with Boruch Gorin, at forty-four one of the best-known public faces of Russia’s Jewish community. As a young Odessan Jew, Gorin answered the call of the late Lubavitcher Rebbe and joined the rebuilders of Jewish life in post-Soviet Russia. Gorin now heads the department of public affairs of the Federation of Jewish Communities of Russia. He also runs the press service of Berel Lazar, who stands at the helm of the Chabad-Lubavitch movement in the Russian Federation (and whom we’ll meet soon). Gorin is the founder and editor-in-chief of Lekhaim, a monthly review of culture and politics. Besides the magazine, he also directs the publishing house Knizhniki, renowned for its Russian translations of exemplary modern Jewish fiction and non-fiction, from Bernard Malamud to Philip Roth, from Aharon Appelfeld to Imre Kertész. (I’ve contributed to both the magazine and the publishing house.) Gorin often publicly addresses sensitive topics, be it a charge of anti-Semitic activity in a provincial city in the north, a prejudice-oozing comment by a member of the Duma, or a case of Russian figure skaters dancing in striped robes with stars of David affixed to their chests. Combining learnedness and street smarts, Gorin radiates a broadly inclusive view of Jewish culture. “Yes,” Gorin replied, taking a sip of coffee, his tall brow furrowed. I lowered my gaze, gripped by a sudden recollection of a music-appreciation class in my old Moscow school. I think it was in sixth grade, around the winter of 1979-80. Soviet troops were about to invade or had just invaded Afghanistan. But before she had a chance to continue her explication, before she could go on about Mussorgsky’s “class-conscious genius,” half of my classmates exploded in ugly laughter. The mere mention of the word “Jew” had sent the boys, and also a few girls, into hysterics. To them it had the ring of a particularly juicy swear word—and now their teacher herself had used it. And there were two whole Jews, as though one weren’t enough! Several kids turned to me, the only Jew in our class, slashing me with their eyes. This humiliation, through which I sat frozen, pretending that it didn’t affect me personally, went on until the teacher finally clapped her hands to restore order and extinguished the savagely cascading hilarity. My own experience, much less extensive than that of a Jewish community leader, confirms that in the Russian language the adjective “Jewish” may indeed be losing its residual pitifulness or derisiveness. But does this mean that the adjective “Jewish” will eventually be instated in the name of the tram stop? Is Moscow tram No. 19 destined to stop at the Jewish Museum and Tolerance Center? About that I’m not so sure. Jewish memory works in ways both mysterious and predictable, impalpable and palpable, speedy and inert. I feel this acutely during annual or biannual trips to my former homeland, which I’m always excited to visit and relieved to depart from. This last trip, during which my daughter Mira and I spent five days in Moscow and I gave two lectures, had been triggered by an invitation to participate in “Protecting the Future: the Moscow International Conference on Combating Anti-Semitism.” The two-day assembly was held under the joint auspices of the Russian Jewish Congress (an umbrella organization roughly equivalent to the UJA-Federation in the U.S.), the World Jewish Congress, and the city of Moscow. In between the talks, private meetings, and conference panels, I showed Mira parts of my native city. This was her third trip to Russia but her first in wintertime. Under the current mayor, Sergey Sobyanin, Moscow’s sidewalks had recently been largely purged of their stalls, kiosks, and small businesses. More a cleansing of the past than an urban cleanup, the mayor’s effort had eliminated much of the city’s characteristic air of an oriental bazaar. Now Moscow looks more naked in its authoritarian glory, bringing to mind associations with Pinochet’s Santiago or Kim Il-sung’s Pyongyang. Mira and I stayed at the conference hotel, known to older Muscovites as the Hotel Ukraine but now the newly refurbished Radisson Royal. It stands on the tip of an urban peninsula formed by a sinusoid bend of the Moscow River. In Soviet times this neighborhood, west of the center and dissected from east to west by Kutuzovsky Prospect, used to be populated by members of the party and government elite. As a kid I regarded Kutuzovsky Prospect, a “government route,” as alien territory, apparatchik turf. The hotel, which was finished in 1957, is one of a sisterhood of seven high-rise towers, each of them a curious spinoff of the Empire State Building and each symbolizing the “empire style” of Stalinist architecture. Bronze statues of Soviet naiads stand in the lobby; original paintings by minor socialist-realist painters crowd the walls. Our room had a view of the river, beyond which silhouettes of factory chimneys showed gray against the pale Moscow sky. Directly opposite stood the Russian White House, now the main building of the government executive and formerly the seat of the Russian parliament, shelled by army tanks in October 1993 during a standoff between President Boris Yeltsin and the parliament. Due to its strategic location, the hotel often hosts diplomats and foreign dignitaries. Plainclothes security men stood in the lobby and conference halls, conversing in hushed tones. During our stay, the hotel also housed a delegation of bodybuilders from Iran; in our brief elevator or breakfast encounters, I took a certain stubborn pleasure in discomfiting these mighty Persian men by mentioning that we hailed from Boston. The conference’s opening session, attended by an audience of about 200 including a Protestant bishop and a mufti, was an opportunity to observe the outward unanimity with which Russian government officials, leaders of Russia’s Jewish community, world Jewish emissaries, and foreign dignitaries all lauded the country’s efforts at fighting anti-Semitism. To my ex-Soviet mind, always skeptical of shared songbooks and choruses of orchestrated praise, this was an extraordinary spectacle. Speakers made reference to anti-Semitism as part and parcel of Russia’s long history yet hastened to stress that the country had closed the door on such excrescences. Another common leitmotif was the contrast between the low level of anti-Semitism in today’s Russia and the current climate in Europe, which many of those present accurately depicted as alarming and getting worse. Ronald Lauder, president of the World Jewish Congress, invoked Russia’s “thriving” Jewish community and directly commended its current ruler: “President Putin has made Russia a country where Jews are welcome.” In a backward-looking rhetorical leap, Lauder also reminded the audience of the “Russian friends” who had been “on our side”: the “brave” Red Army soldiers who fought against Hitlerism, and the Russian ambassador who in November 1947 voted “yes” to the UN partition plan for Palestine that allowed the creation of Israel. 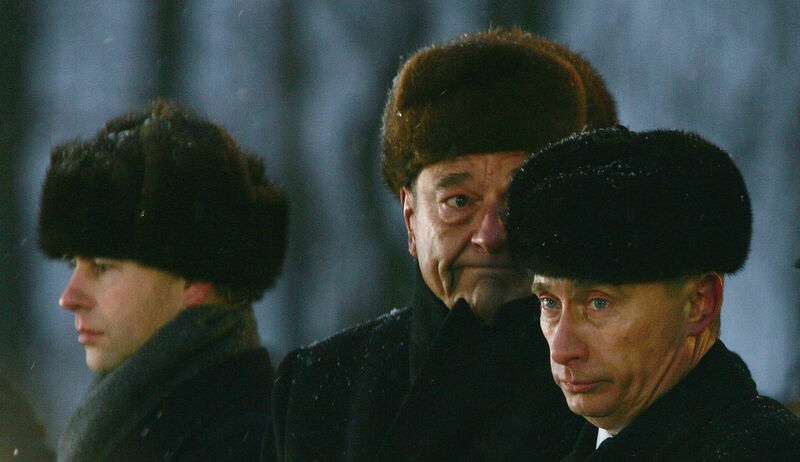 Perhaps indicative of the relative unimportance of the Jewish question in today’s Russian politics was the absence of top Russian officials at the opening ceremonies. Even the mayor of Moscow, an official co-sponsor, sent a deputy to read a bland self-congratulatory statement. The only official who gave a substantive (and eloquent) speech was the jurist Mikhail Fedotov, an adviser to Russia’s president and chairman of the Presidential Council for Development of Civic Society and Human Rights. As a young university student in the 1960s, Fedotov had run into difficulties for his connections with the dissident movement, although he later enjoyed a successful career as a law professor. In the view of several otherwise jaundiced colleagues whom I talked to at the conference, Fedotov was one of the “few good people” in the current administration. The proportion of those Russians holding overtly negative attitudes toward Jews stands at a low 8 percent—as compared with 47 percent holding such views of Roma, 33 percent of Chechens, and 25 percent of Arabs. Levada surveyed 1,200 respondents over the age of eighteen and a separate group of 400 residents of Moscow, where the largest number of Russia’s Jews resides. Its report examines anti-Semitism within the larger context of xenophobia and ethnic prejudice and compares opinions about Jews with views of other ethnically defined groups and identities. Although a brief summary cannot do justice to this detailed study, here are some of the main results. Nine percent of those surveyed express “sympathy, interest” toward Jews, while 83 percent hold “no special attitude, just like toward other groups,” 6 percent express “resentment, antipathy,” and 2 percent register “distrust, fear.” The proportion of those holding overtly negative attitudes thus stands at a low 8 percent—as compared with 47 percent holding such views of Roma, 33 percent of Chechens, 25 percent of Arabs, and so forth. In this analysis Jews are in ninth place as targets of antipathy, well below Roma and Tajiks and also below Americans, Ukrainians, and Armenians. When asked, “How would you feel if a Jewish family were your neighbors?,” 83 percent responded, “I would have nothing against it,” while 56 percent averred they “would have nothing against” their “brother, son, grandson, or another close relative” marrying a Jew. Might an implicit or suppressed bias suddenly implode into a new explicit hatred? Only once during my recent trip, in the course of a reading I gave at one of Moscow’s oldest bookstores, did something of an anti-Semitic incident, laced with anti-Americanism, unravel in my presence. A woman in her seventies, clearly formed during the Soviet years, looking almost like a New Yorker caricature of her type, rose during the Q&A and referred to my first having left my country and now having come back to “wax poetic” about life abroad. Having blurted out her resentments, she then left in the middle of the Q&A. So rare do such public outbursts seem in today’s Russia, I could tell the audience viewed her as a specter out of the Soviet past. Who are these people, today’s unprejudiced average Russian citizens by day, outspoken anti-Semites by night? For surely those who choose to channel their dislike of Jews in the liberating environment of an Internet portal aren’t a different breed from the Russians who wouldn’t think of enacting such sentiments in the traditional public sphere. Lazar was born in 1964 in Milan to parents who were in the first cohort of worldwide emissaries sent out by the late Lubavitcher Rebbe. At fifteen he came to the U.S. to study and be ordained. Arriving in Russia in 1990, the last Soviet year, he soon became rabbi at the Maryina Roshcha synagogue, just a stone’s throw from where the Jewish Museum and Tolerance Center would be founded. In 2000 he became a Russian citizen and chief rabbi—a post held jointly by him and the much older, Birobidzhan-born Adolf Shayevich, rabbi of the Moscow Choral Synagogue since 1983 and titular leader of non-ḥaredi Orthodox Judaism in Russia. Putin’s government formally recognizes Berel Lazar as the chief rabbi of Russia and openly favors his organization, the Federation of Jewish Communities of Russia, over Rabbi Shayevich’s Congress of Jewish Organizations and Associations. The paradox of the Chabad-Lubavitch movement in Russia lies less in its eschewal of insularity than in its tacit involvement in Russia’s mainstream politics and culture. This, I believe, is in part a result of the tireless efforts of the Rebbe’s emissaries who began to arrive in the early 1990s with a mandate to revive traditional Jewish education. But there’s another side to Chabad’s success in Russia. Many of Russian Jewry’s core community leaders and rabbis are not the children of foreign-born Ḥasidim but ex-Soviets who became ba’alei t’shuvah (returnees to Judaism) and made a conscious choice not to emigrate. This makes a huge difference in the way they relate to Russia, its people, and its culture. Back in the 1990s, when I was a graduate student at Yale, I studied for a while with a tutor from a local Chabad yeshiva. This very smart young man had virtually no idea of American or Western culture and literature. When I asked him, innocently, whether he read Jewish writers—Kafka, Malamud, Babel—he replied: “We have our own great stories.” This would not happen in Russia today, where many Chabad activists are Pushkin-quoting men and women in ḥasidic attire. Two-hundred is the most general estimate, without separating by citizenship, language, or degree of religious observance beyond being connected with Chabad and known to keep some of the commandments. If you ask how many families whose native language is Russian follow the principal practices of Chabad, my estimate would be 50. That’s 50 families out of about 61,000 Jews in Moscow. Demographers and sociologists offer similar and sometimes lower estimates. Many of today’s Russian Jews identify Chabad-Lubavitch as a force that rules religious and communal life: a role that is much more central and mainstream than that of its sister organizations in Western Europe or the Americas. The historian Galina Zelenina recently published a fascinating analysis of the Jewish spectrum in today’s Russia, based on qualitative data gathered from Moscow Jews. Liberal or Reform Judaism is still regarded with skepticism, as something of a foreign sect. 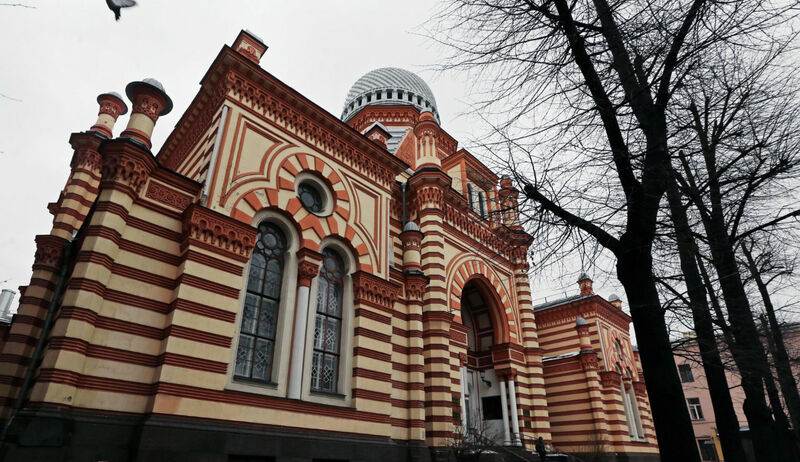 Modern Orthodoxy is often viewed through a prism of nostalgia for the days when the Moscow Choral Synagogue and the steep street on which it stands in the center of Moscow betokened both the past and the present of Soviet Jewry. At the same time, many of today’s Russian Jews identify Chabad-Lubavitch as a force that rules religious and communal life: a role that is much more central and mainstream than that of its sister organizations in Western Europe or the Americas. Similarly, an average Russian citizen is also much likelier to identify Rabbi Lazar, the Italian-born Ḥasid, as the symbol of today’s Russian Jews. 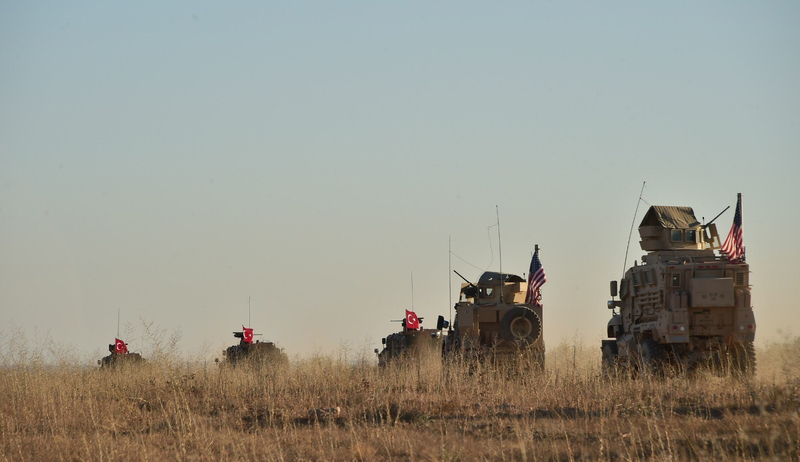 We understand that we don’t have a choice, we must drive to the border, and then—however God disposes. We arrive, we wait for the decision: wait an hour, wait another hour. . . . And then—completely by chance!—I get a call from our great friend. . . . And in a little while the long-awaited permission arrives: “as an exception, the column of buses is to be allowed through.”. . . Many rabbis later admitted they didn’t think the outcome would be successful: what happened at the last minute, they were saying, was a true miracle! For Rabbi Lazar, it seems, Jews in Russia are not God’s mistake. However God may test His people, He doesn’t make mistakes. God disposes, and Russia’s political leaders make the necessary arrangements, including exceptions to Russian visa regulations. Nothing, nichego, gornisht: the word was meant to sum up 70 Soviet years that, in this reckoning, saw a total destruction of traditional Jewish life and Jewish learning. Lazar’s anecdote fashioned the mission of Chabad-Lubavitch not as a renewal but as a reinvention of Jewish life. Both the official remnants of Judaism (embodied in the Moscow Choral Synagogue and its “Soviet” rabbis) and the unsanctioned grassroots movement of Jewish learning in the 1960s-80s, made possible by refusenik zealots, vanished in this narrative. 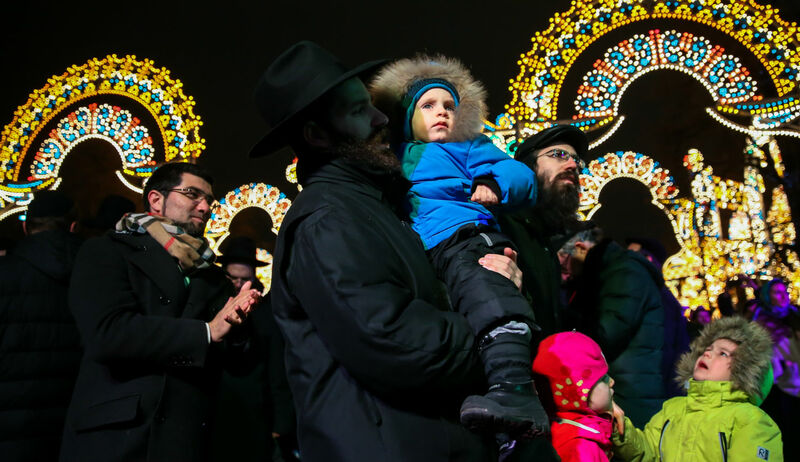 Not until the arrival of the Rebbe’s emissaries in the early 1990s was Jewish life rebuilt almost from ground zero until the point where, today, Chabad-Lubavitch stands as the guardian of Russia’s Jews. The question that everybody asks is: “How did it happen? Tell us the secret. How could you change the tide of what’s going on today in Europe?” One point that very often is left out is a strong Jewish community. A proud Jewish community. An active Jewish community. People respect us when we show that we are not hiding our identity, when we are teaching our children the values of our tradition, when we show that we’re united and we care, and . . . we’re not going to stay silent. Different leaders around the world have to understand that it’s their responsibility to watch over any minority, especially the Jewish people who have suffered so much in the last century. . . . And I’m sure that today during the conference this issue was brought up, and I’m sure that Mr. Putin got the credit he deserves for standing strong and doing whatever can be done to show that Russia will not tolerate any anti-Semitism. One of the most important things is education. Not only educating our own children, but educating the people around us. I think the Jewish community in Russia has done a lot to open its doors, to tell people what we stand for, what are our values, what we believe in, and how we care about the country we live in. The moment people see that we are equal citizens in our responsibilities and in our actions, I think they will respect us even more. Following Rabbi Lazar’s speech, a Dostoevskian scene occurred, straight out of The Possessed. Aleksandr Minkin, a columnist at the Russian daily Moskovsky Komsomolets, made his way to the podium. The seventy-year-old Minkin, who looks a bit like what I imagine Judah Maccabee looked like and a bit like a tired actor in a provincial Russian theater, is nationally recognized for his diatribes against corruption in Russia and for his past closeness to the exiled oligarch Vladimir Gusinsky, a principal player in the Russian Jewish Congress until he fell out with Putin. For me as an ex-Soviet Jew, a map of Moscow is not only a map of childhood and first love but also a map of anti-Semitism. And a return to my native city is a visit to a place that now seems both much more tolerant and more foreign, because it’s in the Soviet past that I still strangely belong. When I show my kids around Moscow, I’m conflicted about which of the two maps to unfold, which memories to suppress. On a Saturday morning, as Mira and I entered the metro and rode the long escalator down to the platform, I found myself in the grip of an anguished memory. I was twelve, the age when budding adolescence would bring out the Levantine features on the faces of Jewish boys and girls. To a phenotypically trained Soviet eye—and most Soviet citizens were keen ethnographers—I looked Jewish. And like Isaac Babel’s preteen protagonist who transgressed Jewish customs and dreamed of breeding doves, I, too, dreamed of breeding wildlife—not birds but veiltail betta fish. Parti-colored, feisty, they came from tropical Siam and beckoned a young breeder away from wintry Moscow to realms wondrous and unknown. I belonged to a group of kids who gathered once a week at the Moscow Palace of Young Pioneers, where a female graduate student in biology directed our ichthyological explorations. One cold Sunday, it must have been in 1979, five of us went to Ptichiy Rynok (literally: Bird Market), an outdoor area where various pets were sold by breeders. I was the only Jew in the group. Three boys had Russian or Ukrainian last names, one a Korean name. The boy’s Korean ancestors had been exiled from the Far East to Central Asia; his father eventually made it to Moscow and married an ethnic Russian woman. After shopping for aqueous treasures, each of us ended up with a small glass jar containing one or two tropical fish. It was winter, and we had to carry the jars close to our bodies, in breast pockets or close to armpits, wrapped in scarves or gloves. Elated with our purchases, we ran to the nearest metro stop and got on the escalator. She was pulling hard at my hood as the escalator slowly descended, and I was trying to protect the glass jar with my veiltail betta fish as the other boys stood by and watched. Finally I overcame my stupor, jerked and ripped the hood from her clutches and yelled back: “Shut up!” That was all I could muster. As we waited for the train on the platform, the part-Korean boy patted me on the shoulder and said: “It’s going to be okay.” The others just stood there, eyes glued to the veiny marble of the station floor. I can’t stop asking myself the same two-winged question: why do Jews stay in Russia? Why are they defying history? The question forms something of a chasm between ex-Soviet Jews and those who have elected to remain. I’ve written a whole book about growing up Jewish in the former USSR, and I thought I’d put it all behind me. But trips to Moscow, and especially this past visit with Mira—a visit framed by thoughts and discussions about anti-Semitism—proved that I can’t let go. Nor can I stop asking myself the same two-winged question: why do Jews stay in Russia? Why are they defying history? The question forms something of a chasm between ex-Soviet Jews, especially former refuseniks like my family, and those who have elected to remain. Among the latter, the only exceptions are three or four close friends in Moscow and St. Petersburg whose lives and circumstances I understand almost as well as my own. So why are they staying, or are they in fact just waiting to leave? It’s of course easy to understand the situation of a successful Jewish venture capitalist who is developing a state-of-the-art IT company in Siberia. It’s also not hard to understand the reluctance of elderly Russian Jews to uproot themselves now. And I’m fully aware of the reasons why members of Russia’s Chabad-Lubavitch community are committed to Jewish life in Russia. But what about others in their twenties, thirties, forties, and fifties? In the course of my most recent visit I initiated a number of conversations on this point, and some continued in written form after my return home. For reasons of generational dynamics, I resolved to focus on Jews roughly between the ages of thirty-six and fifty-six—that is, born no earlier than 1960 and no later than 1980. There was an inevitable randomness and self-selection in my interviewees, who in part reflected the circles of my acquaintances. I ended up with six informants, three men and three women. (Others demurred on being told that I intended to quote their words in an American publication.) I asked a single set of questions. Why do Jews continue to live in Russia, after everything they’d been through? What are the prospects of Jewish life in Russia? What lies ahead? What awaits the children born to Jews of this generation who haven’t left? Below are translated selections from the answers, arranged in descending order of age. Oy, . . . one feels like speaking with the intonation of [the satirist] Zhvanetsky: “It’s quiet for the time being, but only for the time being.”. 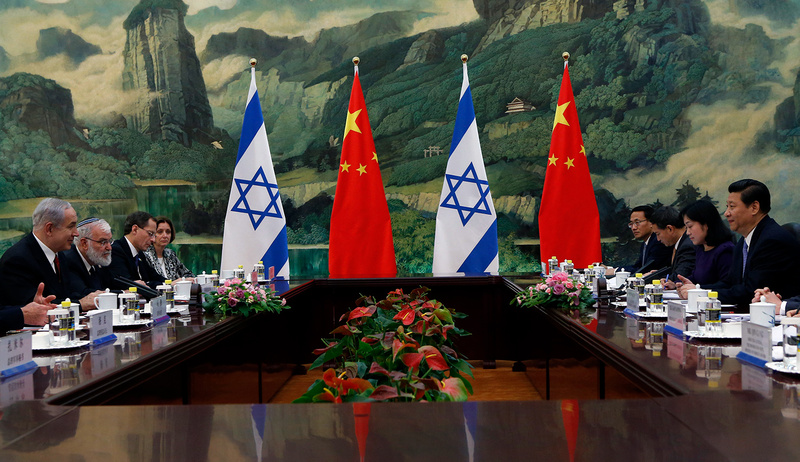 . . And when they come up to you and ask how to get to such and such an address and you know they mean a synagogue or the Jewish Museum and Tolerance Center, for some reason you immediately start inquiring about the weather in Tel Aviv and the airfare. The future of Jewish life and Jewish culture in Russia depends on a number of factors, but chiefly on the state of the “Jewish question” and on whether the Jewish community will have funds. Many confuse [Jewish culture] with the religious tradition, the communal life, which is, in my view, fundamentally incorrect. . . . Where are our own Jewish writers? . . . What is being done to foster their existence? In order for us to have our own Malamuds, Roths, and Bellows, . . . we should in all sorts of ways nurture the writers we already have. . . .
One could say: “What is 20 years of freedom? Wait, it’s all coming.” But one wants it now and more of it. I think Jewish cultural life in Russia depends on direct philanthropy. We don’t have our own [Jewish] Morozovs and Tretyakovs [major Russian philanthropists and patrons of the arts in the second half of the 19th century]. . . . I doubt the situation is going to change any time soon, and the birth of the next Kafka is unlikely here. . . . Everything is still rising from the old yeast. There are probably several categories of [Jews] and therefore several [sets of] answers. Group (1) are afraid of leaving; group (2) are comfortable in Russia; group (3) have identity problems and don’t consider themselves Jewish; group (4) are at anchor, held here by somebody or something; and group (5) will leave eventually, one day. Really, what am I doing here?. . . Well at least here I’m a full professor, and I haven’t found another place for myself in the world. . . . My parents emigrated to Israel from Baku. They lived in poverty. I visited Israel for the first time in October 1991, eleven months after their departure. . . . My father, a violinist, was driving a garbage truck, my mother helped the elderly do their shopping. Both of my parents were then fifty-four. I found nothing for myself [in Israel], and later there were also no prospects for me there. It would seem as if it’s high time to go, but at the same time here I’m the author of eight textbooks, with annual sales of 100,000 copies in the last two years. And who will I be in Israel? A retiree, a complete nobody. I’m almost fifty-five, and I still haven’t left. . . . Yet now I feel that my textbooks will be banned—and then emigration will once again be on the agenda. It’s not entirely clear what it means to be a “Jew” in Russia. In Soviet times passports had the [mandated] nationality line, so people far removed from Judaism or the Jewish tradition were considered (or considered themselves) Jews. Many [sic] in the 1970s and 80s even converted to Orthodox Christianity, as back then it was a form of [protest]. Which is why today’s “Jews” in Russia are people of 100-percent Russian culture. Where can they go? Jewish culture in its religious-traditional sense will always be on a “reservation” here [in Russia]. The fate of “Jewish” children (that is, Jewish by blood) isn’t different from the fate of children of other members of the intelligentsia. They will be leaving. But most likely not for Israel but for Europe or America. Dmitri Bavilsky (born 1969), novelist, journalist, art critic. Dmitri’s father is a professor of medicine. His parents live in Chelyabinsk, an industrial city in the southern Urals. His sister and her family live in Ramat-Gan, Israel. From time to time I think about [emigrating], but I’m still holding out. There are some basic indicators that I keep in mind. There are definite boundaries, important for me, which the state hasn’t yet crossed (Internet, freedom to come and go, a certain income level). My professional responsibilities have to do with the Russian language, which is why emigration for me is an extremely complicated and painful issue, which I would like to be able to avoid. The current of the Jewish question in postmodern Russia runs feebly and slowly. There’s the inexorable, archetypal legacy of the past, from which there’s no escape, but for the time being it’s bottled up or dispersed, and it seems that the designation of “Other” in today’s Russia has been given to people from the Caucasus and gays. That is to say, in the conditions of a dispersed and atrophied society, and without any targeted efforts from above, the Jewish question is, perhaps, temporarily closed. Fewer and fewer Jews remain in Russia. I think that their (our) number will continue to decrease. Without any specially targeted adverse ideological actions (sanctioned persecution), the [Jewish] question will not be deliberately enunciated [as a question]. In this sense, Russian Jews share the common fate of all of post-imperial Russia. It’s not a topic one can do justice to in just a few words . . . and there are different Jews here, who lead different lives—from those who don’t exactly feel they are Jews (thank goodness, they aren’t exactly being reminded of it) to such Jews as us, the pathbreakers, trying to live a religious life and to raise children accordingly. It’s certainly easier for me to speak about myself and my family and those families that surround us in the [Chabad] community. We live in a sufficiently comfortable environment. Our kids go to private Jewish kindergartens and schools, very good ones, which in the U.S. would cost a lot of money whereas here they’re practically free. Kids grow up in a fairly insular but very tight circle of friends. . . .
As far as our adult life is concerned, we are also quite content with it and successful, doing what each of us wants professionally, having enough social interaction, and not lacking for money. No wish or desire to change country. Regarding the prospects, our children are getting a double education, religious (ḥeder, yeshiva) plus the general secondary education they must receive. . . . Our oldest son is studying at a yeshiva [outside Moscow] . . . a first-rate educational institution with about 100 students and iron discipline. I can say with confidence that there isn’t another Chabad yeshiva in the world with such living conditions and quality of education. Even in times of extreme need, . . . many people decide to stay and wait it out. I remember, in my childhood, when anti-Semitism was in full bloom, emigration paperwork would regularly turn up in our home—to America, Denmark, Germany, and even Australia, any place where they might have suddenly started accepting Jews. We filled out the paperwork but we didn’t leave . . . because of the family, elderly parents (who were still alive!). What’s now been added to the mix is that in this country the situation with anti-Semitism has radically changed. Moreover, strange as it sounds, it’s become fashionable to be a Jew. People look for their Jewish roots. It would seem that to some extent we now attained the results which many Jewish organizations have been working to achieve. Accordingly . . . people are more unwilling to leave the place where they were born and everything is dear and familiar. . . . Now in Russia there exists a Jewish life in all its forms and expressions—what the Russian Jewish Congress strives for and supports—and further growth and development are indicated. . . .
There’s one more factor. Many Jews living in Russia have long since obtained Israeli citizenship, and those who haven’t done so already are living with the sense that if something were to happen, they would manage to obtain it. That is: it’s as though we don’t have to go, all’s well, but should something happen, we’ll be able to go. Jewish children . . . have grown up with the understanding that the world is open and one can go and study, go and live, anywhere. My feeling is that their heads are set up differently and they don’t ponder this question. . . . But still it’s important to add that, even though at the present time anti-Semitism in Russia is low and the situation is calm, we continue to monitor the situation constantly . . . because Jews, unfortunately (or fortunately), have too good a memory simply to close their eyes and not to look around them. Dear Friends, I’ve moved to Israel . . . and settled in Haifa. Forgive me, those to whom I didn’t have a chance to say goodbye. . . . I miss you and hope to see you in different cities and countries. It’s warm here, the sea right nearby is humming, and the lighthouse is blinking. . . . One of the strongest impressions: armed people who aren’t at all scary. And one thinks all sorts of new thoughts about the homeland. I hug you and love you, until I see you again. I’ve never personally experienced anti-Semitism. . . . But in Russia I was surrounded by a very decent social circle, which had been in the making for a number of years, and I simply cannot imagine aggressive anti-Semitism coming from one of my acquaintances. On the other hand, in recent years the temperature of xenophobia in Russia is notably rising, people are becoming nastier, and yes, one can encounter anti-Semitism along with other unwelcoming expressions pouring from propaganda loudspeakers or simply in the streets. Why do they stay? Why do we all live? I’m not sure there’s a higher meaning. [Many] don’t leave because they have grown used to Russia, I think, although I’ve also heard that of late a great many have been leaving for Israel (and not only Israel). It’s like asking why descendants of victims of [Stalinist] repressions are living in Russia. Probably because they were born there, and they don’t have a great desire to move to another country, or if they have the desire, then a fear of change outweighs it. . . .
[For me personally] there were several reasons and motivations. I’m an editor and journalist, and journalism in Russia has nearly disappeared. The best publications (and I’ve worked for several) have in the recent years either been shut down or changed by censorship beyond recognition. . . . Perhaps above all else was the feeling of too little freedom and too much suffering all around. After Crimea and the war with Ukraine this feeling has become more acute. . . .
As a teenage refusenik, I heard many versions of a popular joke about Jewish emigration. In the year 2020 a boy and his father are walking in the center of Moscow. Pulling his father by the sleeve, the boy points to an older lady rushing along: “Look, Dad, I think she’s a Jew.” The woman stops, looks the boy in the eye and wails: “I’m not a Jew, I’m a madwoman.” If you’re not laughing, it’s because Soviet jokes, even Soviet Jewish jokes, are an acquired habit, but also because the joke imparts a maudlin lesson. Jokes of this sort have become a vestige of the Soviet past, along with the mandatory fifth (“nationality”) line in one’s passport and “streetcar” anti-Semitism. But despite all the advances of the post-Soviet years, despite what appears to be state patronage of sorts and even the reputation of a protected minority, despite the low incidence of public anti-Semitism, and despite the strength of communal, religious, and educational institutions, Russia’s Jewish community is indeed shrinking. Today’s core Jewish population of about 180,000 puts Russia behind Israel and the U.S. by millions, and also behind France, Canada, and the UK. True, the numbers still more or less equal those of the Jewish community of Argentina, and edge out those in Germany, Australia, and Brazil. But will Russian Jews remain in the top ten, or will they eventually slide to the level of Belgium, Italy, Switzerland, and Chile, all in the range of 20-30,000? Despite all the advances of the post-Soviet years, despite what appears to be state patronage of sorts and even the reputation of a protected minority, Russia’s Jewish community is indeed shrinking. Almost folklore: in Russia today, there’s an official story, which is heartening and positive, adhered to by the regime and by many Jewish community leaders and activists. And then there’s what might be thought of as a coded story, whispered by some, or perhaps many, of the Jews still remaining in the community’s diminishing population base, and whispered back into their ears by history and by memory.